You are being blamed for the hypoxia dead zone, even though nitrogen (N) use has not increased since 1980. The dead zone, which is said to be draining the life out of more than 8,000 sq. mi. 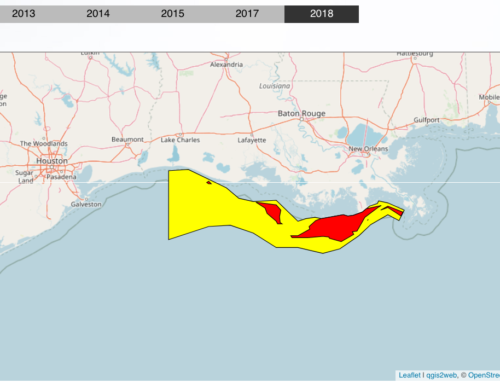 of the Louisiana and Texas Gulf Coast, could cause use of N and phosphorus (P) to be regulated to prevent runoff and leaching — whether it’s your fault or not. “Unfortunately, farmers will continue to receive criticism,” says Don Parrish, environmental policy manager for American Farm Bureau Federation. Science indicates that growers are handling N better and seeing higher yields despite cutting back on N applications. Nevertheless, farmers receive the most criticism from environmental groups. 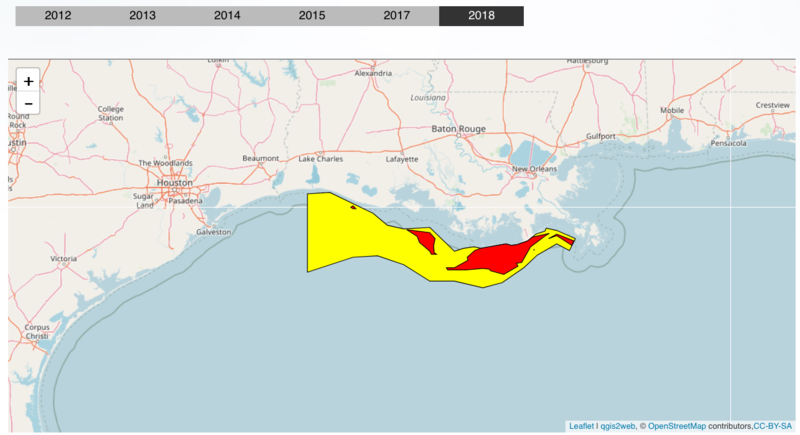 A plan issued this summer by the EPA increases the reduction in N and P emissions into the Gulf of Mexico to 45% each, up from 30% in policy set in 2001. 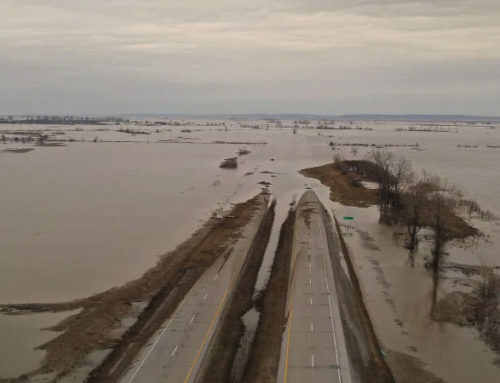 The summer also saw environmental groups in nine states petition EPA to set and enforce pollution standards in the 31 states of the Mississippi River Basin. The hypoxia zone, about the size of New Jersey and the second largest such area in the world, is threatening sea life because of N, P and other soil nutrients. These nutrients promote algal and attendant zooplankton growth. Dead algal cells and other debris from the algae sink to the bottom, decomposing and consuming available oxygen. Stratification of Mississippi and Atchafalaya (in east-central Louisiana) river waters, which make up 95% of the fresh water affecting the northern Gulf, prevents the mixing of oxygen-rich water on the surface with oxygen-depleted water on the bottom. The hypoxia shrinks in the winter and grows again the next spring, summer and early fall. 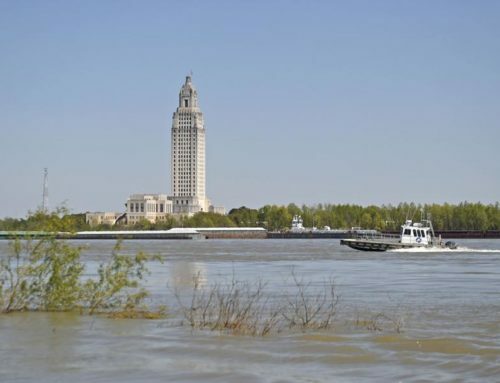 Louisiana Universities Marine Consortium (LUMCON), which heads Gulf Coast hypoxia monitoring, says the annual hypoxia emergence developed early in 2008 due to above-average Mississippi River discharge in February and major flooding in April. “A statewide nutrient balance for Iowa indicates more N is now removed from the soil annually through harvested grain plus losses to air and water than is applied from all sources, including manure,” says Dean Lemke of the Iowa Department of Agriculture and Land Stewardship (IDALS). WHAT CAN YOU DO to reduce runoff or leaching? Sawyer says growers can likely manage their fertilizer even better, but can’t prevent N runoff or leaching. Wetlands can help reduce nitrates through the process of denitrification and may help trap other nutrients, like P. “Growers can also use biofilters at the outlet of tiles to reduce the nitrate concentration in tile flow,” says Sawyer. He and Sawyer agree that cover crops can also help remove N and P from the soil. “We need to grow something on the landscape more than just between May and August,” says Lemke. Urea can be coated for more timely release for crops. “This will be less helpful for nitrate reduction in surface waters,” says Sawyer. Leaching, a major contributor to the nitrate-to-water problem, is difficult — if even possible — to control, especially with intensive row-crop production where there are no living plants in the late fall and early spring time period. “It’s a process that goes on no matter what we do,” says Sawyer, because of water movement through soil and draining lands with tile systems. “Even if we don’t apply N, N derived by mineralization from the soil organic material leaches out. “Rate of N application is important for greatest agronomic and economic return, and for water quality,” Sawyer says. IDALS is part of an EPA task force that developed the 2008 Hypoxia Action Plan. It aims at reducing and controlling hypoxia in the northern Gulf of Mexico and improving water quality in the Mississippi River Basin. (To see the plan, go to www.epa.gov/msbasin/taskforce/actionplan08.htm). A National Corn Growers Association (NCGA) white paper shows that the trail of soil sediments and other materials merged into the Mississippi and other rivers goes far beyond farmers. The document points out that from 1983 to 1990, about 25 sq. mi. of riverbank erosion resulted every year. 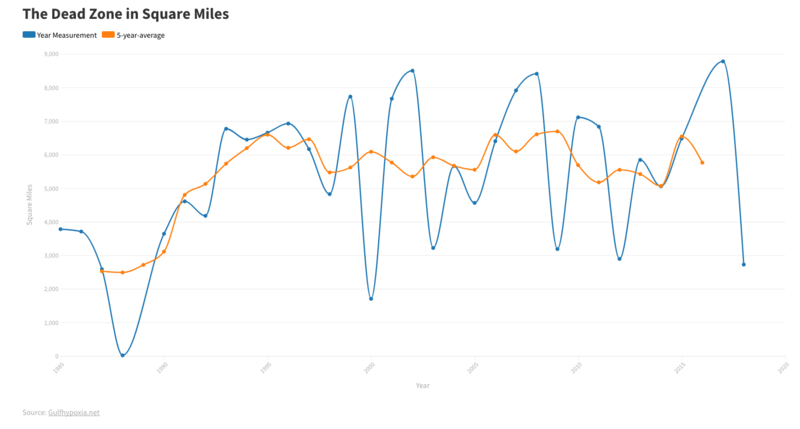 “Erosion not only puts organic matter directly into the waters near the hypoxic zone, but it also intensifies summer stratification by increasing the volume of warm, fresh water delivered to the hypoxic zone,” according to the NCGA. 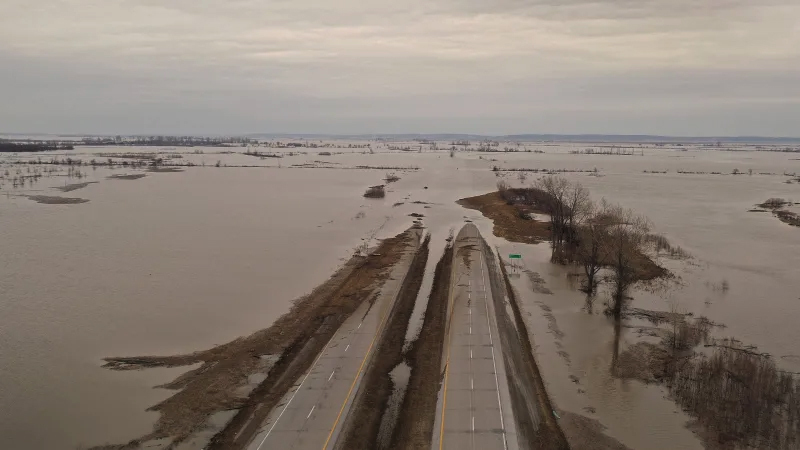 In addition, construction along the Missouri River — which accounts for 45% of the total flow of the Mississippi River past St. Louis — has also put organic matter into the waters. The NCGA paper says the Army Corps of Engineers sent over 5 million tons of soil into the Missouri, containing about 11 million pounds of N and 9.3 million pounds of P.
EVIDENCE FROM SEDIMENT samples in the area of the hypoxia indicate that the source of organic matter there is from phytoplankton production in the overlying waters, and not from continental organic runoff, says Nancy Rabelais, aquatic ecologist and executive director of LUMCON, which heads Gulf Coast hypoxia monitoring. 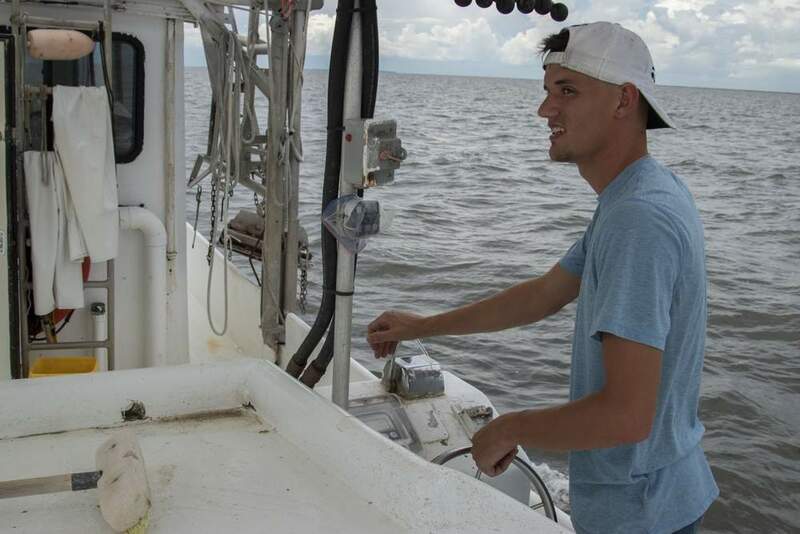 Farm Bureau, IDALS, NCGA and researchers at Texas A&M University stress that more research is needed to determine the dead zone’s cause. 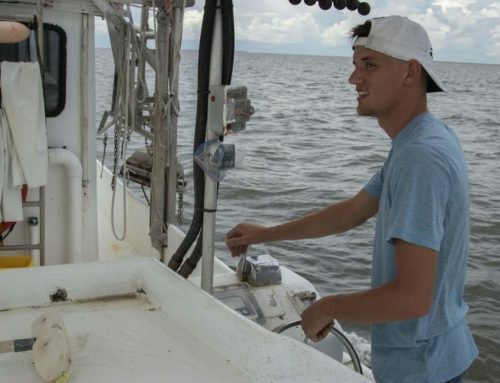 A&M’s Thomas Bianchi and Steven DiMarco, who study the Gulf hypoxia, say destruction of wetlands over the years has prevented filtration of nitrates and other contaminants from the Mississippi and other rivers. They say that from 1930 to 1990, the Mississippi delta experienced about 80% of the nation’s wetland loss — 690,000 acres. Artificial canal dredging, pond creation and natural creation caused the losses. 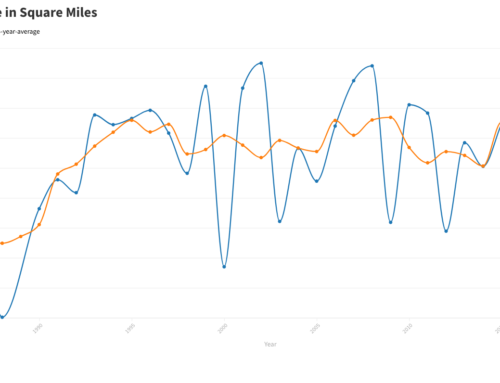 The A&M group says the peak hypoxia situations correlate with the time periods of peak wetland losses. Rabalais points out that “accounting of nutrients coming into the Mississippi River by the U.S. Geological Survey indicates that agriculture is not the single culprit, but clearly contributes most of the P and N to the Mississippi River.” She says the survey indicates that at least half the N and 25% of the P derives from corn and soybean crops. There are no easy solutions. However, Lemke says strategically located and designed wetlands could certainly help. But the magnitude is huge. Rabalais says there are certainly differences in scientific opinion regarding the hypoxia, its cause and how to alleviate the problem. Lemke says these differences in opinion between agricultural forces and the non-ag scientific community will likely remain on the complex subject. Dean Cooper2008-10-28T13:37:00+00:00October 28th, 2008|News|Comments Off on Hypoxia: Fact or Fiction?